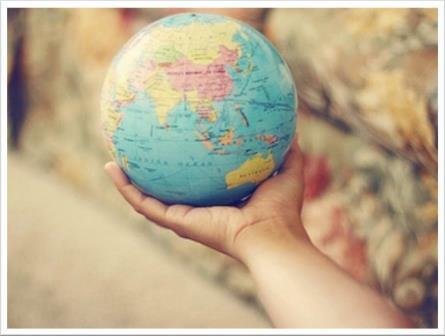 A whole world to travel - for a new backpacker, where to go first? A Whole World to Travel – Where to go First? The answer to this question will often be dictated by your budget and where in the world you live. It also depends largely on your confidence. My first genuine travel experience was to the US which was an ideal introduction to becoming a backpacker. My destination was a summer camp where I would spend three months adjusting to the American culture and lifestyle. It was the perfect springboard for further travel around that country and the world. So if you want to travel but don’t feel confident about it, consider a similar idea. Apart from numerous summer camp opportunities, especially in the US and Europe, there are also volunteer work options in many countries around the world. Whatever you choose, it will give you the opportunity to become settled and absorb any culture shock slowly instead of having it hit you between the eyes. As you make new friends, get accustomed to the culture, currency and language you will naturally build confidence to travel beyond the safety net of the environment you are working in. For most, the best first-time destinations are regions where the culture isn’t too vastly different to home. It’s also a good idea to choose areas of the world where it is easy to get around and everything is close together, fun and interesting. Depending on where you live, some good examples would be Western Europe, Northeast Asia, Western United States, New Zealand or Eastern Australia. Those on more limited budgets could pick Southeast Asia or Central America. Those that don’t lack confidence will find regions like Africa or the Middle East not as dangerous, difficult or inaccessible as people seem to think. They can be extremely rewarding for those with the right personal attitude. This, by the way is going to be the biggest influence on your overall experience. If you approach everything positively and assume that your trip will be a great success, then there’s every chance that it will be. It is worth noting however that safety should be a priority on your first major trip. This is especially true for women who may be travelling alone. A bad experience could really knock your confidence and it takes time to build this again. There are some countries and geographic regions of the world that are less safe and can discriminate against women. My suggestion is leave them until you are more experienced and better able to handle difficult situations that may occur. Some simple research will reveal destination that should be avoided and more suitable choices. Regardless of how much time you have, you will not see everything in one trip. It is typical that what you do and where you go will evolve with time. Each trip spurs interest for another region and builds confidence to tackle places that once may have intimidated you. The potential of travel destinations is probably greater than you can ever imagine. As your confidence develops over time you will be inspired to reach places that you once only dreamed of.